Survival in a post-apocalyptic world requires quick thinking and tools that get the job done swiftly and efficiently. 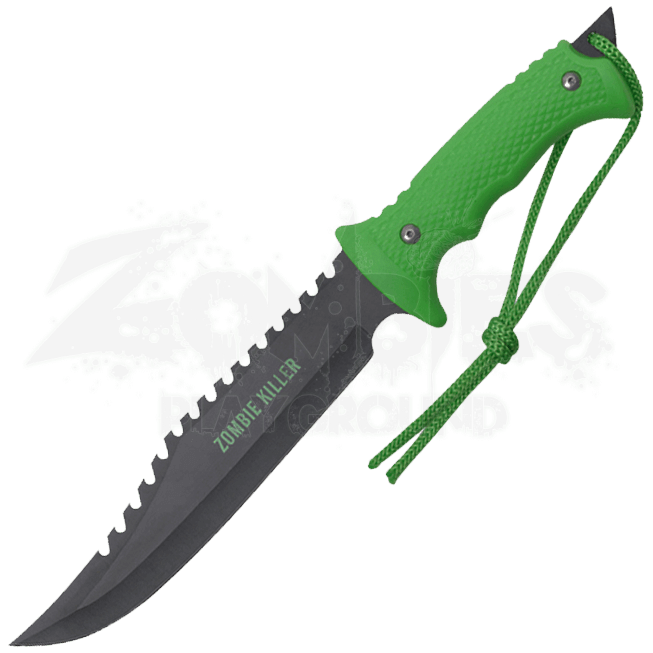 Cut your way through everyday tasks, and the occasional zombie skull, with the Zombie Green Sawback Hunting Knife. Crafted from stainless steel, the clip point blade is full tang and displays a black finish. Reverse saw teeth run along the spine. 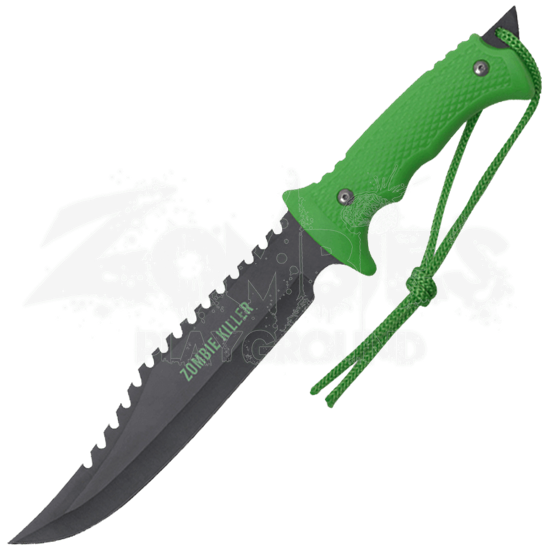 A textured zombie green handle supports a steady grip. A matching paracord lanyard and black nylon sheath are also included.